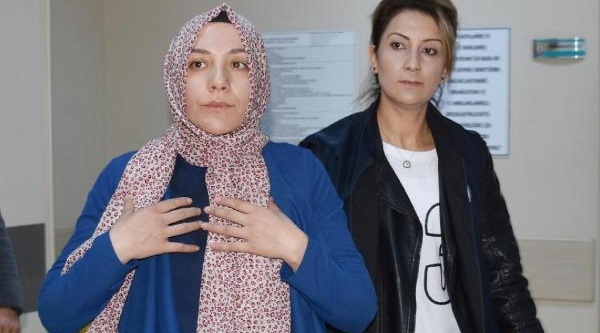 At least seven people including the ruling Justice and Development Party (AKP) Aksaray municipal council member, Hümeyra Gür, has been put detained over alleged links to the Gülen group, which the Turkish government accuses of masterminding a coup attempt last summer. According to the Turkish media, Gül and other detainees are accused of using a mobile phone app called ByLock. Turkish authorities believe that ByLock is a communication tool among Gülenists. The Supreme Court of Appeals’ Assembly of Criminal Chambers ruled on last month that the ByLock smart phone application is to be considered evidence of membership in a terrorist organization following Turkish Justice Minister Abdülhamit Gül’s remarks on ByLock being strong evidence of terrorist organization membership. A recent legal opinion published in London last month found that tens of thousands of Turkish citizens detained or dismissed from their jobs on the basis of downloading ByLock have had their human rights violated. The Guardian reported on a study commissioned by opponents of Turkish President Recep Tayyip Erdogan and conducted by a pair of 2 Bedford Row attorneys which argues that the arrest of 75,000 suspects primarily because they downloaded the ByLock app was arbitrary and illegal. According to the report by Guardian legal affairs correspondent Owen Bowcott, the legal opinion was commissioned by a pro-Gülen organization based in Europe. The two experienced British barristers, William Clegg QC and Simon Baker, drafted the opinion. “The evidence that the [ByLock] app was used exclusively by those who were members or supporters of the Gülen movement [is] utterly unconvincing and unsupported by any evidence,” the two barristers said, according to the Guardian.